Title: BIBLE PROPHECY UPDATE: WHERE IS CURRENT IRAQ DISASTER LIKELY LEADING THE WORLD? Subtitle: End Times prophecy foretelling Babylon's final physical judgment is being fulfilled with Coalition tactics in your Daily News, as our military action is quickly fulfilling Isaiah 13! World will then quickly move into "Final Birth Pangs" war (Matthew 24:6-8) and into Joel 3. As American and British forces were leaping across the Iraqi border in late March, 2003, we studied God's climactic physical judgment upon Babylon in the Last Days, keeping in mind that this prophecy has a double fulfillment, a "Near" and a "Far Off" fulfillment. Clearly, all of verses 1-3 were fulfilled when God brought the armies of the Medo-Persian Empire into Babylon to take it easily, quickly, and with great bloodshed, as recorded in Daniel, Chapter 5. Clearly, verses 17-22 also seemed to have been fulfilled at that ancient time. However, the indications seem overwhelming that an End of the Age "Far Off" fulfillment is required. We studied this prophecy verse by verse to see how the war had to unfold if this was the final annihilating judgment upon Ancient Babylon, which is today's Iraq. While the prophetic standard seemed very high at the time, we noted that every single aspect of this chapter had to be fulfilled before we could consider that the Iraq war of Bush/Blair was a prophetic fulfillment. Today, we shall examine this prophecy one year later. You might be surprised by what we have discovered! When God begins a chapter using this language, the reader is alerted that He is about to issue a terrible physical judgment upon the people mentioned in the prophecy. We see this language used consistently in the book of Isaiah, as God specifies final judgment for many different nations, some of which are clearly End of the Age. Here, God is telling of His judgment upon Babylon, a judgment He did carry out just as He said he would in verses 2-3, using the combined armies of the Medo-Persian Empire. In today's terms, the Medes would most probably be the Kurds and the Persians are definitely the Iranians. God used Darius the Mede to bring this original terrible judgment. The army God is raising up against Babylon are gathering together like the "uproar of a multitude in the mountains". When a huge army assembles in the thinner air of a mountain, and they get ready for battle -- even shouting like warriors of old shouted -- their sound is seemingly amplified as it comes clearly through the thinner air, and can be heard for many miles. Certainly, the roar of the multitude of our armed forces as they got ready to go to battle could fulfill this prophecy; or, the roar of our mighty Abrams Tanks, Armored Personnel Carriers, our Hummvees, our helicopters, and our airplanes most definitely delivered the " noise of the tumult of the kingdoms of the nations". "In an effort to counter criticism that an invasion of Iraq represents a largely unilateral decision by the U.S., the State Department yesterday released a list of 30 countries that have agreed to be named publicly as members of a 'coalition of the willing' in support of the U.S. plan, while identifying about 15 others that have given their backing privately ... The 30 publicly-named governments, together with the United States, represent some 1.1 billion people, about one-sixth of the total population of the world." Thus, you can see that 30 nations from around the globe have joined with the United States and Great Britain to assemble this force together for the attack. "Washington -- The United Nations must support a tough new inspection policy that ensures the disarmament of the Saddam Hussein regime in Iraq, or itself risk becoming irrelevant, President Bush said October 3. 'We'll see whether or not the United Nations will be the United Nations or the League of Nations when it comes to dealing with this man who for 11 years has thumbed his nose at resolution after resolution after resolution after resolution,' Bush said in remarks at a White House event for Hispanic leaders." When President Bush ordered our armies into Iraq, he did so by exercising his authority as a National Sovereign, thumbing his nose at the collective Global Sovereignty of the United Nations. Indeed, in the early April, 2003, time period, when Americans were so convinced that we had conquered Iraq with no serious downside, some analysts were writing columns calling into question whether a great country like the United States really belonged in a world body which wanted to tell us what to do. Some people were even calling for the United States to pull out of the UN! At this time, I warned that this attitude could not be allowed to become the final, hardened attitude of the peoples of the world. The Illuminati views National Sovereignty as a very serious threat to their plan to create a global system of government, economy and religion. World Wars I and II were fought to end National Sovereignty, establish the World Body and to convince people that National Sovereignty is the force behind all wars. In fact, the only enemy the Illuminati views more seriously is Fundamental Christianity. Therefore, time and time again, I warned that, in the final analysis, this invasion by President Bush and Prime Minister Blair must be considered to be such an abject failure that people will blame the "inherent selfishness" of National Sovereignty for the entire mess, and turn with open arms to the United Nations, believing that global "Peace and Safety" is possible only when Global Sovereignty kicks National Sovereignty into the trashcan! Events have been slowly turning in this direction for a number of months now, have they not? Unfortunately, we have only seen the tip of the iceberg! Now, let us return to this prophecy in Isaiah 13. After noting that over 30 governments representing a cumulative population of 1.1 billion, or one-sixth of the global population, it is worthy to note that they were drawn from most every continent on earth! This also fulfills prophecy. These armies "came from a distant country, from the uttermost part of the heavens" to marshal for the invasion. When you realize that Australia is committing troops, you can realize how fully this prophecy is being fulfilled. Other "distant" countries supporting this invasion include Columbia, El Salvador, Japan, South Korea, Nicaragua, and The Philippines. Truly, God is mustering armies and supporting units from the "uttermost part of the heavens". "SEIZE AND DESTROY THE WHOLE LAND"
Note that this army from the far corners of the world is prophesied to "seize and destroy the whole land." In the Gulf War of 1991, I thought this Scripture was being fulfilled completely, until President George H.W. Bush ordered US and Coalition Forces to stand down just as they were crossing the border of Kuwait/Iraq. I realized instantly that we were not going to "seize and destroy the whole land", so the final fulfillment of this prophecy had to await another day. But, today, our stated objective is to literally seize the whole land of Iraq. NEWS1907 -- "PRESIDENT BUSH'S NUCLEAR WARS AGAINST AFGHANISTAN AND IRAQ NOW CONFIRMED! New York Daily News has nine returning guardsmen tested, and four of them tested positive for D.U. 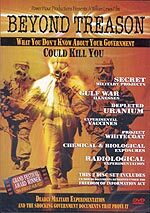 poisoning (45% - a rate of infection that Gulf War Vets says is turning out to be too typical for a soldier who has spent one full year on the D.U. contaminated battlefields of Iraq). In less than a generation from now, Iraq is likely to be totally uninhabitable, according the doctor in a foreign army, who is trained in modern desert warfare. We seized the entire land in early April, 2003. From the beginning of our invasion on March 20, 2003 through today, Coalition Forces have unleashed over 4,000,000 pounds of Depleted Uranium munitions, almost all of which vaporized into dust at the moment of impact. But, you might ask, how does Depleted Uranium render a country uninhabitable? To deliver this kind of damage, the basic necessities of life in that country have to be so contaminated that human life cannot exist. Does D.U. damage the environment this terribly? Indeed, it does. Listen now to a startling expose' on D.U. munitions was posted by a retired "Chief of the Naval Staff, India", Admiral Vishnu Bhagwatt. Ever since I learned about D.U. last Summer, I wondered when competent, trained military men from other countries were going to start speaking up against the pollution we are spreading throughout the world with our Depleted Uranium military machine. Admiral Bhagwatt spoke up forcefully and scientifically. "DU weapons emit 'Alpha' particle dose to a single cell from U-238, which is 50 times the annual dose level. Cancer is initiated with one alpha particle, its daughter isotopes effect generations as the isotopes Bio-concentrate in plants and animals and travel up the food chain. It is a nuclear weapon ... They enter the body through the lungs, the digestive system, or breaks in the skin. One gram of DU releases more than 12,000 particles per second. The radiation slowly kills the cells that make life possible. The Gulf War Syndrome of 1991 did just that (reported by Dr. Asaf Durakovic, Professor of Medicine, Georgetown University)." Therefore, the answer to the people who said our bombing of Nagasaki and Hiroshima did not permanently pollute Japan have their answer from Admiral Bhagwatt. Had we exploded 250,000 Nagasaki-type bombs in 1945, Japan would likely uninhabitable today because of radiation pollution. Iraq is not only in deep trouble because of our 2003 bombing, but also because this is the second time in 12 years we have subjected that country to this type of "Trojan Horse" nuclear warfare. In NEWS1919, this former Marine stated that the Iraqi people were beginning to understand the seriousness of our Depleted Uranium poisoning upon their land. Now, can you see why the Iraqi people got so very, very angry when the four American civilians were ambushed in Iraq on March 31? 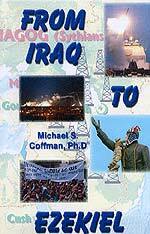 We have destroyed the land of Iraq -- through nuclear contamination from D.U. munitions. However, we have also inflicted a fearsome array of conventional warfare on the Iraqi people, a not-so-invisible warfare that has astonished them greatly. Listen as Lt. Col. Beardon tells us of our modern arsenal of weaponry. While we have not realized what kinds of weaponry our forces have been utilizing against the nearly defenseless Iraqis, the soldiers and the people of that land have been experiencing it first hand. Clearly, they have been shocked and dismayed -- not to the point of giving up -- but dismayed nevertheless by what we have thrown against them and continue to throw against them. Clearly, our modern war against Iraq has fulfilled the next prophecy in Isaiah 13. "their faces will be aflame from the effects of the unprecedented warfare." Let us stop right here to take note of the End Time indictor in this verse. One of the major indicators that an event will occur at the End of the Age is when you see this phrase: "Day of the Lord". Here, we see this phrase used here in verse 6 and then again in verse 9. Literally, the "Day of the Lord" refers to that entire End of the Age period relating to the appearance of Antichrist, his confirmation of the Covenant with Israel [Daniel 9:27], and the entire Tribulation Period. When the war begins that is the Final Birth Sorrows [Matthew 24:8] which will produce Antichrist, the End of the Age will commence; we believe this war with Iraq may be the beginning of that war -- the trigger of that war. This is the unprecedented warfare that has been hitting Iraq and her citizens. DESTROYING ARMIES - "FIERCE, FULL OF WRATH, RAGING ANGER"
This verse contains probably the most stupendous insight of any in this segment. First, God is saying that He is coming upon Babylon (Iraq) with wrath and raging anger. In other words, these armies from the "distant countries" are God's instrument of wrath, anger, and Judgment. If this war against Iraq is this final war, then the armies from the 30 nations allied with the United States are delivering God's judgment. Stop right here to ask yourself if our soldiers have been exhibiting in Iraq an anger that is "fierce", that is full of "wrath and raging anger". The answer, in light of events since early April, 2004, when fighting erupted anew and with a violence not seen since the first two weeks of battle in late March, is an unqualified "Yes"! We have been treating the Iraqi people with fierceness and a raging anger that simply defies normal and reasonable explanation, except that we are delivering this type of judgment upon Iraq (Babylon). In the past few weeks, we have learned a great deal about our military which we did not know before! We have discovered that our prison guards have been torturing and sexually degrading Muslim soldiers, civilian women and even some young children. We have read articles that this type of "interrogation" was ordered personally by Defense Secretary Rumsfeld and that he informed President Bush no later than mid-January, 2004. Anyone who has ever served in the military knows that soldiers cannot torture and sexually degrade prisoners for a full year without the knowledge of, and support of, top leadership. The military is the most rigid organization on earth. Minute logs are kept of every detail of every day. Superiors had to know and had to be fully supportive. These are the three elements that enrage Muslims the most. They are the most angry whenever an "infidel army" desecrates and/or destroys their mosque. Wanton killing of civilians is the next event that makes them angry. The third thing that makes them enraged is the torture and sexually degrading humiliation of Muslim men, women, and children which we have been carrying out for a full year, according to both the International Red Cross and Amnesty International. Part 3 - NEWS1915 -- Has Rush Limbaugh Begun The "Unofficial/Offical" Domestic Line of Defense For Bush Administration? Once you have thoroughly read these articles, you can sense the serious rage and anger our Coalition Forces have wreaked upon the Iraqi people. Unfortunately, the worst is likely to come, for in the coming all-out war, untold tens of thousands of civilians may very well die. Our latest article on this subject comes from a former Marine Drill Instructor whose 12-year career was cut short because he complained to his superior officer that he and his unit were "committing genocide" against the Iraqi people. NEWS1919 -- "Former Marine Recently Returned From Iraq Confirms From Firsthand Witness What Cutting Edge Has Been Teaching About This Iraq War": A hard-core, gung-ho, 12-year career Marine chose to quit the Corps upon returning, foregoing money or benefits because he was so convicted about our deliberate killing of civilians, our usage of Depleted Uranium and our personnel-killing cluster bombs in the Iraq war. Staff Sgt. Massey chillingly told of the effects upon him, his fellow soldiers, and Iraqi civilians from Depleted Uranium dust. Then, he made quite possibly the most important revelation in a very long time; he said the Iraqis were beginning to understand that they and their land had been poisoned. To attack Iraq using Depleted Uranium munitions is an act of true cruelty! Not only does D.U. poison the food chain of a nation but the Pentagon knew very well what these munitions do to people and to land, for we used them in the 1991 first Gulf War and had over a decade to study the scientific and medical results -- results which are readily available from medical and academic sources in Western Society. Our two Depleted Uranium wars against Iraq surely qualify as killing Iraq with "wrath and raging anger" and making the land "desolate" -- just as this prophecy foretells! However, one single quote from another Marine serving on the front lines proves that many of our troops are "fierce" and full of "wrath and raging anger". "What you won't hear on audio-bites ... 'Dad, we are kicking the living s*** out of those m*********ers ... Nick says that as they moved up, the rags were performing disciplined, as he calls it, 'bounding fire and movement' ---they knew what they were doing---even when we knocked them back, they were 'bounding' When I asked if he had cranked-off any rounds he replied with disgust, "Uhhh...yeahhhhh" (a version of 'no duh')...Dad our platoon alone has killed over 200 of those (again) m*********ers" .... I believe they do not consider the foe as human...and they're not ... he knows that the cellar is still full of rats and every day you enter the cellar they will try and bite you...especially those that came to Iraq to die ... 'Semper Fi Dad, I love you'." Fierce, full of wrath and raging anger! Just as this prophecy foretells. America is clearly the military machine God has raised up in these Last Days to finish His mighty judgment upon Iraq. However, this insight should fill all Americans with great dread for our future! Finally, notice that God's intention is to destroy the sinners out of both Iraq and the entire world! Never miss sight of this reality: God's ultimate goal in the End of the Age Tribulation is to prepare the world to accept the return of Jesus Christ and His 1,000-Year Reign, and one of the most important ways in which the world is to be prepared is to destroy all the sinners throughout the world. Therefore, the sinner in your neighborhood will eventually -- probably within a few years -- will be subject to this prophecy just as the poor people about to be killed in Iraq. This verse, above, really nails down the reality that this chapter carries End of the Age context. The startling revelation in these two verses is that God will kill so many people that mankind will be more rare than "fine gold". Scarcity is the reason fine gold is so precious. Therefore, this verse literally means that the numbers of man shall be so very, very few left in number, at least in the regions singled out for military judgment. Once again, this verse contains specific End of the Age language used so commonly for this period of time, to describe God's furious judgments pouring down upon a wicked world. As the world enters into the Tribulation period, the emphasis will be on Israel and Antichrist. Little attention will be paid to the annihilation of the few survivors of Iraq, as the Kurds may finish God's judgment. One of the most interesting current news articles to appear in quite a while regarding the Kurds ran just last week; the gist of this article was that Iraq may be partitioned into three areas, the northernmost area to be given to the Kurds! 2. The US will relinquish the current iron grip we have over all of Iraq. Perhaps we will withdraw, as our government has been hinting over the past week.. Or we shall withdraw to certain enclaves within Iraq, allowing the Kurds to form their own government in the northern territory, the Sunnis in the middle of the country and the Shiites in the South. Hints have already started to occur that a chain of events might be underway that will allow at least a fulfillment of possibilities #1 and #2. "The news from Iraq is so bad that even President Bush no longer describes successive disasters as evidence of progress. The Bush administration is now moving to increase troop levels in Iraq, and is asking the British government to do the same ... Civil war is a more likely outcome in Iraq than democracy. There is growing tension between the secular Kurds and Shia religious leaders who want to make Iraq an Islamic state. The Shia have warned that they will not be bound by provisions of Iraq's transitional administrative law to ensure a role for the Kurds (and Sunni Arabs) in the writing of a permanent constitution. Kurdistan's leaders reply that their region will not stay in an Islamic state. "By ousting Saddam, the coalition shattered an 80-year-old political system that brought unity through force. With the Kurds not wanting to be Iraqi at all, and Iraq's confessional communities holding diametrically opposed views on how to organise the society, coalition efforts to create an Iraq that is both united and democratic are doomed. The best hope for holding Iraq together, and avoiding civil war, is to allow each of Iraq's three constituent communities the system it wants. Iraq's best chance for survival is as a loose federation of at least two, but more likely three states - Kurdistan in the north, a Sunni Arab state in the centre, and a Shia state in the south. The central government would exercise relatively few powers - little more than foreign affairs and monetary policy." Since the Kurds are controlling their territory so well in the north, the war erupting in Iraq is in the middle and the south of the country. Is it possible that our military efforts against this insurrection might so destroy the religious Sunni and Shiite militias that, if we do leave, and if Iraq becomes three nations as this article articulates, only the Kurds would have a meaningful military. Then, if the world becomes distracted by the coming World War III, the Kurds might be tempted to march southward, to exact the kind of malicious revenge for many, many centuries of severe repression bordering on genocide which Iraq has continually carried out against the Kurds. If the Kurds get their own country, and have a distinctive military edge over the Sunnis and Shiites, this Bible prophecy might very well occur. Is it possible that our repeated offers to "leave if asked" might be prophetic, i.e., might allow the country to coalesce into the three state solution, leaving the Kurds as the dominant military power? Either way this turns out, events are going to get very interesting! Now, let us now turn to the last verses of Isaiah 13 to see how they are currently being fulfilled. Even modern scholars do not contest the fact that Babylon was overthrown and her "glory of the kingdoms, the beauty of the Chaldean's pride" was reduced to ashes as described in Daniel 5:30. This key fact destroys the assertion made by modern Bible teachers --also Bush apologists -- who are saying that verses 19-22 were never completely fulfilled. God says Babylon shall never be rebuilt to the glory and power she enjoyed while she was the capital of the Babylonian Empire. If Antichrist were to rebuild her, making her the capital of his global kingdom and the economic engine of the whole world, her glory and power would exceed that of the original Chaldean Babylon and this the Word of God will not allow. Therefore, the issue is not whether a small town now exists on the location of Ancient Babylon; the issue is that Ancient Babylon will never be rebuilt to her former glory, power and influence. Once God overthrew Babylon through the Medes-Persians, He promises that the city shall remain as destroyed as Sodom and Gomorrah. Just as neither of these two cities have ever been reestablished, so Babylon can never be reestablished to her former glory. The context of Babylon being as destroyed as Sodom and Gomorrah is as the Chaldean capital; certainly, the Medo-Persian armies overthrew Babylon, the pride of the Chaldeans, thus making it prophetically impossible for Babylon to be rebuilt by Antichrist. A small village is in existence now near the site of Ancient Babylon, and a portion of Nebuchadnezzar's palaces have been rebuilt. However, the original Babylon, the pride of the Chaldeans, has never been rebuilt, nor will she! Now that you understand the scientific and medical facts concerning the severe pollution of Ancient Babylon, you are in a better position to comprehend the reality that God's pronouncement upon Babylon has now occurred. Since D.U. remains radioactive for 4.5 billion years, there is absolutely no way in which Antichrist can rebuild Babylon so that she can be his capital city and the Crown Jewel of the world during the 7-year Tribulation Period. At this point, some of you are probably thinking that Antichrist will just work an occult miracle to remove the Depleted Uranium poisoning so he can rebuild Babylon. If this is what you are thinking, you need to seriously consider the prophetic truth found in 2 Thessalonians 2. To reiterate, Antichrist will not be permitted to actually do any real miracles, but just "lying signs and wonders" so as to deceive -- just as Johanna Michaelson revealed in her classic book, "The Beautiful Side of Evil". God will limit Satan to lying wonders, lying miracles. Therefore, Antichrist cannot accomplish the miracle of removing the curse of the Depleted Uranium poisoning so he can rebuild Babylon. Prophecy is being fulfilled in your Daily News every day we continue to fire off our Depleted Uranium munitions!
" Stop right there for a moment -- think of modern history -- we know exactly when God restored Israel back to her land, do we not? He restored the fortunes of Israel on May 14, 1948. Therefore, you can write this note in your Bible margins next to this verse: "Fulfilled May 14, 1948". "I will gather all nations and will bring them down into the Valley of Jehosaphat, and there will I deal with and execute judgment upon them for their treatment of My people, and of My heritage Israel." Bible scholars understand that there is no geographical "Valley of Jehosaphat" [Adam Clarke Commentary and Davis Illustrated Bible Dictionary]. Hence, this term must be symbolic. However, since the term, "Jehosaphat" means "God will judge", it is possible that the prophetic "Valley of Jehosaphat" may represent much more than just the Valley of Kidron. 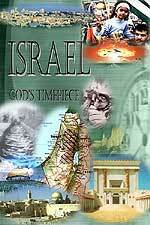 According to this understanding, the geographical location of this prophetic valley is likely "as a general term for the theater of God's final judgments on Israel's foes" and the type of judgment about to befall "all the nations of the world" will be the type of devastating judgment God inflicted on Israel's enemies by the historic Jehoshaphat! Who are the nations who have been historic foes -- bitter enemies -- of Israel? The list covers all the Middle East, to Egypt, the Palestinians, Jordan, Syria, Iraq, Iran, Saudi Arabia, Libya, and almost every Arab and Muslim country in the entire Middle East. Therefore, if God is going to bring judgment upon the nations of the Middle East who have mistreated His "heritage Israel", He will have to bring judgment upon the entire Middle East. Therefore, I believe the prophetic "Valley of Jehosaphat" represents the entire Middle East. Certainly, we see troops in the Middle East from over 30 countries in the world right now. Also, note that God does not say that He will bring judgment upon every nation in this region at once. Indeed, there are one clear, strong verse which implies that God's judgment will fall in incremental stages, with one nation after another taking their turn. Did you catch that key understanding? "so shall all the nations drink continually, in turn, of My wrath". Nations shall be judged "in turn"! Notice that this prophecy is an exact reversal of the prophecy relating to the end of all war, as Jesus begins His Millennial Reign. In Isaiah 2:4, we see that Messiah will put an end to war. "... they shall beat their swords into plowshares, and their spears into pruninghooks: nation shall not lift up sword against nation, neither shall they learn war any more." But, in the era immediately after Israel is restored back to her land, we see the prophecy of war, of every nation coming systematically into the Valley of Jehoshaphat [generic term for Middle East] for God's judgment of war. Therefore, no matter how events turn out after June 30 and no matter who commands Coalition Forces, you can be assured by God's own prophetic Word that all the nations of the world shall continue to pour into the Middle East to prepare for the many wars which will ultimately destroy all the enemies of Israel. Ultimately -- either sooner or later -- many of these armies will turn against Jerusalem, coming against her in wave after wave. Thus, it is highly significant that the vast majority of nations comprising the United Nations breathe hatred and animosity toward Israel nearly every day. Truly, we are living in the very end of the End of the Age.